Stairs like these led to dark, cool basements where valuable wines used to be stored. Times have changed. Basements have become “wine cellars”, and servicing the equipment used to keep the wine cool is a MUST in a modern world. growing up in the hum of a Los Angeles summer. Remember how, on the hottest days, you snuck down the basement stairs to visit the magical coolness of your grandparent’s cellar? There were boxes of photographs, woodworking tools – and over in a corner on a makeshift shelf there were 4 bottles marked “SPECIAL”. Jump back to today. You’ve got your own home in Los Angeles. Those four bottles marked “SPECIAL” have blossomed into 325 green and white bottles with labels that look like art. Your cellar is a beautiful space made of wood and stone, just like your grandparent’s cellar was. 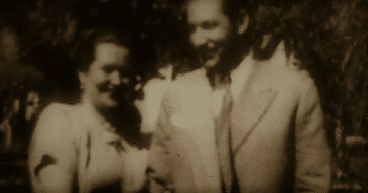 In fact, a photo of your grandparents hangs on the exposed brick wall. It’s one of your most valued and valuable creations. So, when something went very wrong, you didn’t mess around. You called in the craftsmen who understood it best. M&M Cellar Systems. Valuable wines with labels that could be art, used to be stored in earth-cooled cellars. Now they are kept in one-of-a-kind spaces which are climate controlled. Servicing the wine cellar equipment which makes the magic happen keeps everyone in the cool. We’re talking about the time lint from the dryer vent completely plugged up the condenser! No one thought that putting the refrigeration unit on a low roof outdoors would create any problems. After all, it would be away from ground dirt and debris – and any dirt which did accumulate would easily be washed away by rain. You found out the hard way that this wasn’t quite the case. When the professionals from M&M arrived, they immediately saw what was happening. 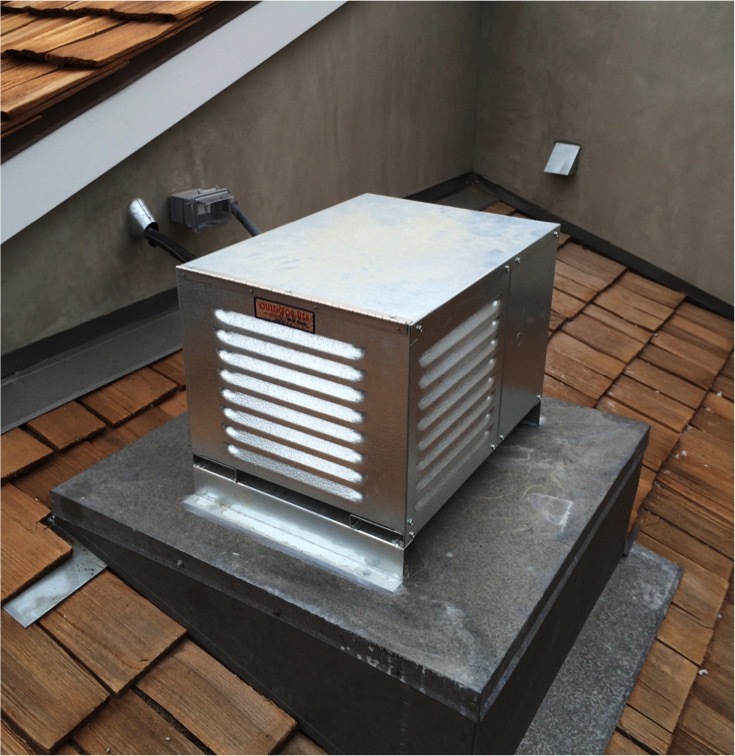 The refrigeration condenser and compressor had been placed right next to an active dryer exhaust vent! This placement caused lint to be sucked straight into the condenser. 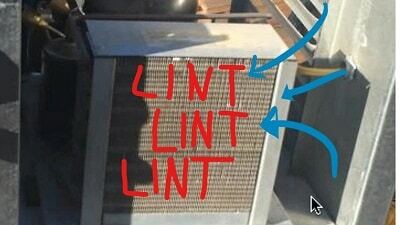 Over time, that lint built up until it was impossible to see any light at all through the front grate. With lint blocking the grate, the pressure reading was high. Too high. With such a dense blockage, the unit couldn’t “breath”. When units can’t breathe, their functionality drops drastically. This could have lead to a disaster for the valuable wine-stock. This wine cellar condenser unit was completely blocked by lint. The old, earth-cooled cellar in your grandparent’s home might be looking pretty good about now. We know that modern inventions can come with modern problems. But if you carry out your wine cellar servicing with M&M Cellar Systems, there won’t be any surprises. What did M&M do to correct this issue? They used nitrogen to blow out all of that packed-in lint. Just a few minutes of pushing nitrogen through the front grate opened the airflow, which in turn brought an immediate drop in system pressure. In this case, the pressure dropped an amazing 50 pounds per square inch in about two minutes. With the pressure back within normal limits, the wine cellar temperatures corrected themselves. You were no longer at risk of compromising the value of your entire wine-stock. Monitoring the functionality of your outdoor equipment is part of M&M’s wine cellar servicing. Back to those summer days in Los Angeles. 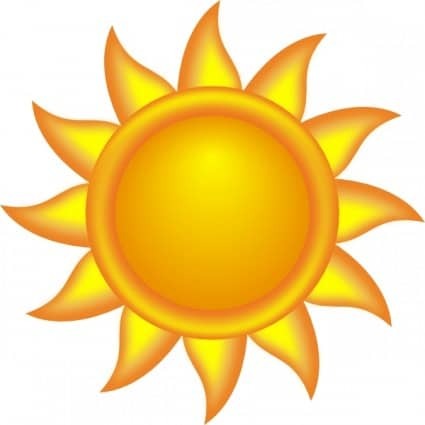 On a typical sunny summer day in LA, the temperatures can be 85 to 90 on the ground. But, up on a roof? Temperatures often soar ten degrees hotter. This in turn causes any mechanical equipment placed there to work much harder. Most units are rated to work in temperatures up to 110 degrees. When we do the math, it’s clear that a 90-degree day in LA translates into a hundred + degree day on a roof. Keep in mind that a condenser doesn’t have to be at 110 degrees in order to lose a good deal of its productivity. Any heat will detract. In this case, a cooling unit on a roof open to the sun, sitting next to a dryer exhaust vent, is going to be asked to do some heavy-duty overtime. This picture clearly shows where the dryer vent used to be. Once the lint was blown out, the owners wisely redirected the exhaust line. It’s just a fact that the location of your wine cellar cooling unit will have an impact on how well your unit functions. But whether it’s outdoors under the sun, under a stairwell, or masked behind ornate wood carvings in the cellar itself, any wine cellar has to be given proper servicing and attention on a regular basis. By the way, what one piece of equipment – out of all the many pieces which make up your wine cellar- would you say is the working “heart” of your system? You would probably say that your grandparents are the “heart” of your wine cellar. But when it comes to the nuts and bolts of your cellar, your condenser must be looked on as the mechanical “heart” of the system. If it doesn’t function correctly, nothing else works quite right. Care-taking is a necessary step in preserving the quality of anything we value. It’s never our intention to neglect those things – but it happens. Life gets busy, out of sight out of mind, that sort of thing. We’ve all done it! All the more reason to – right now – set up a maintenance plan with M&M Cellar Systems. It takes one call to get a wine cellar servicing schedule in place so that you never have to be surprised – or concerned – that you might be jeopardizing something of irreplaceable value. Let summertime be the magical time it’s supposed to be! Call M&M now!